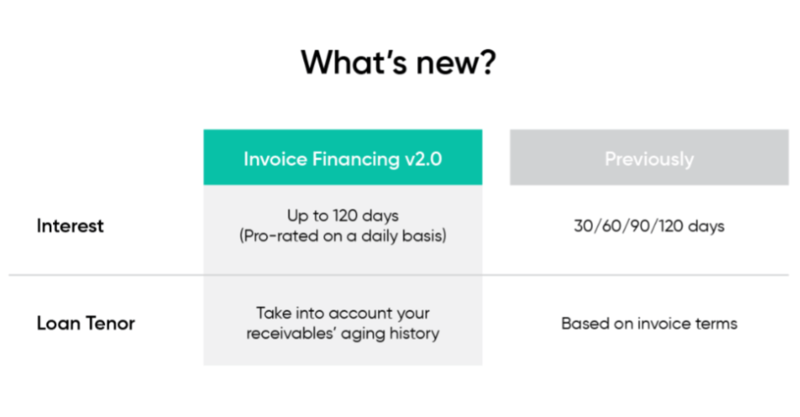 Some of our investors may have already heard of our new product: Invoice Financing. But perhaps some questions remain on why it is a worthy addition to our list of products, how it is different from our regular peer-to-peer loans, etc. We hope this post will alleviate and dispel any confusion. To start, it may help to understand what invoice financing is and why a small business may need invoice financing. Invoice financing is a product where sellers (“Borrowers” in this case) sell the future receivables or invoices they issued to their customers (“Debtors”) to get immediate cash, at a discount. When the debtors pay their invoices, investors who bought these future receivables would receive full payment and make a return. A small business, no matter how profitable or healthy, needs constant cash flow. Credit terms of invoices (usually between 30 to 90 days) result in a time gap between delivery of goods/services and receipt of payment. Invoice financing bridges this gap by providing immediate cash up front. Certain businesses need running cash flow more than others. Wholesalers are a good example – they always need to buy more stock inventory. If most of their income is in accounts receivable, then their cash cycle will be negatively impacted. Compare invoice financing to the more ubiquitous term loan. Invoice financing and term loans have visibly different tenures. Our term loans’ tenures range between 3 to 24 months whilst terms of payment (i.e. tenure) for invoice financing listings range between 30 and 90 days, typical of invoice cycles – this is a great difference, and some investors are fond of invoice financing because it takes much less time to get their full principal and interest back. Another key difference would be the risks involved. As invoice financing listings are secured against the invoices, lesser risk is involved. Furthermore, an invoice financing institution would not advance 100% of the borrower’s invoice to buffer against any unforeseen circumstances. This reserve amount (as we call it), will push the Seller to chase the Debtor for timely repayments as any borrower woul want 100% of his invoice back rather than 80% the maximum amount Funding Societies will advance payment for. Of course, certain things stay the same here at Funding Societies. Our credit assessment of borrowers will remain rigorous. In fact, for invoice financing listings, we’ll extend our assessments to the debtors as well. We will continue with our monthly reminders and strong infrastructure in place to collect repayments in case of payment delays. As per term loans, for each invoice financing listing we put up, investors have access to a detailed factsheet to evaluate the listing. The returns you can earn from invoice financing is comparable to term loans as well, at around 8% to 15% per annum. So if you are interested in investing in our new product, click here to access your “Browse Loans” page if you already have an account with us. If you don’t, click here to sign up now!